The Rohingya people, who have been continuously victimized for more than half a century, are constantly forced to flee from Arakan. The most recent, unprecedented wave of migration that began in August 2017 reveals the extent of the persecution in Arakan. Since the latest crisis, almost 800 people were forced to flee to Bangladesh, and with the last migration the numbers of Rohingya refugees living in Bangladesh reached 1 million 300 thousand. IHH Humanitarian Relief Foundation has continued its aid operations in Myanmar since 1996. 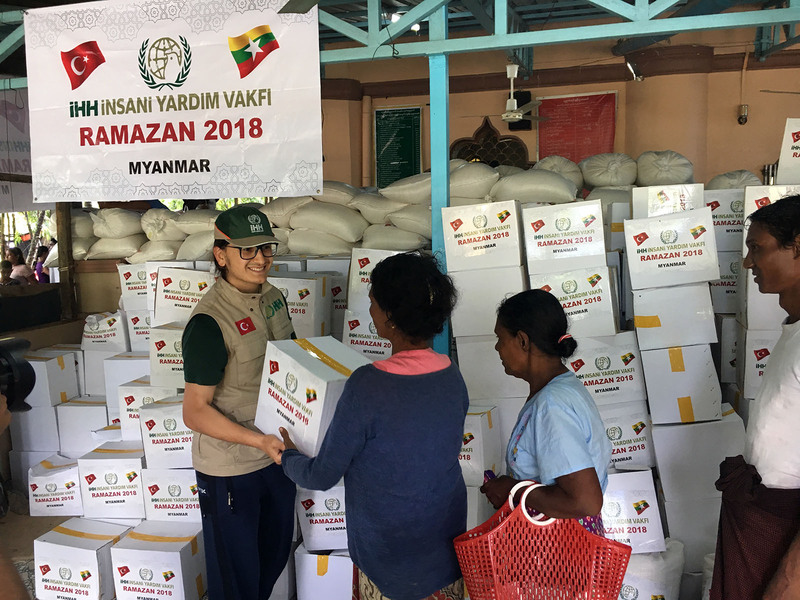 In addition to aid delivered to those who were forced to flee from the persecution in Myanmar and sought refuge in Bangladesh, IHH also delivers aid to those who survived the persecution and remained in Myanmar. 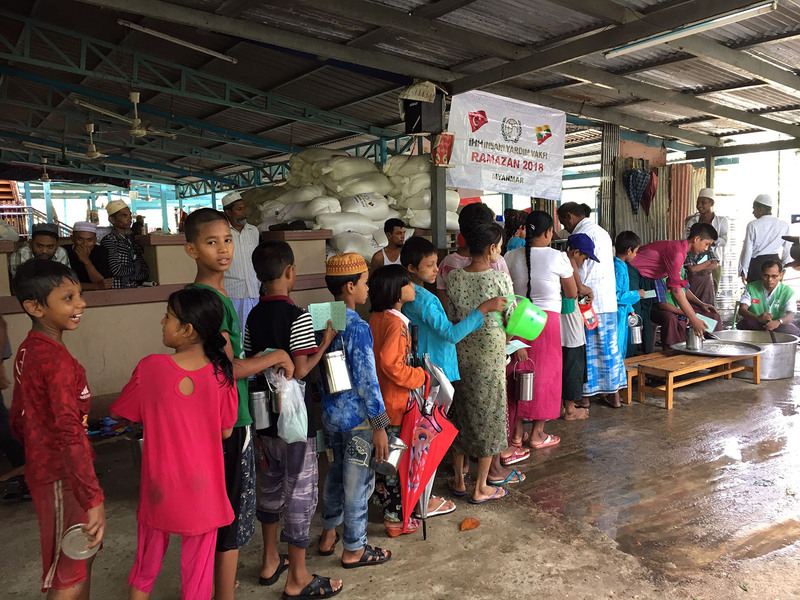 As a part of our Ramadan 2018 activities, the IHH teams that continue to deliver aid in Myanmar, also delivered aid to Muslims living in the in Hlaing, Tharyar, ShwePyithar, Thaketa, Thingangune, Meikhtila, Kunchangone, Dala, Ayelar, Yangon and Arakan regions of Myanmar. On completion of the aid operations carried out by IHH teams, who are continuing to distribute the aid of our donators, more than 100 thousand Muslims would have benefitted from the distribution of aid throughout Ramadan. 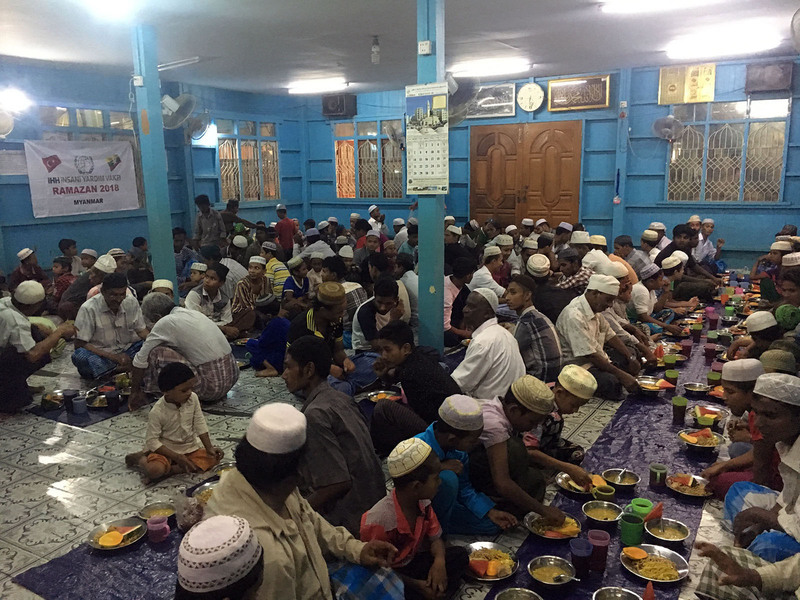 By the end of Ramadan, IHH plans to have distributed Ramadan food packets to 71 thousand 125 people, and iftar meals to 12 thousand 200 families living in 10 different regions of Myanmar. Aid will be distributed in particular to Sittwe where there is internal migration, and Maungdaw, the center of the massacres last year. Donators, who want their aid to reach the last Muslims living in Myanmar, can make donations to IHH’s bank accounts specifying MYANMAR in the description section.